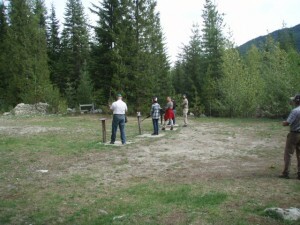 Outdoor range closure dates for archery May 31, June 1 and June 2. 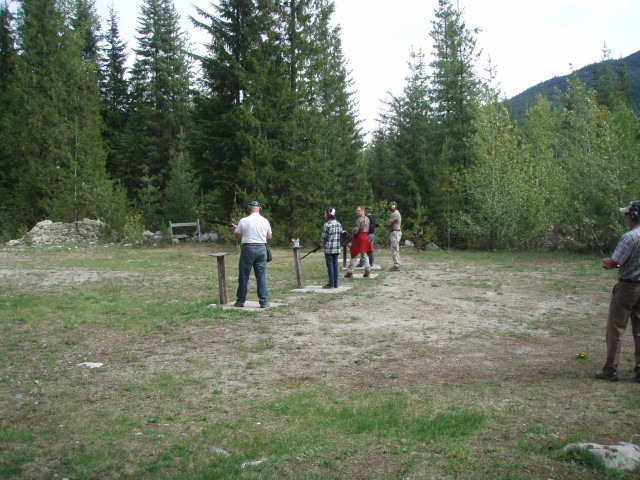 On Nov 15 and Nov 16 the Outdoor Range will be closed for a private training function. Some notes on the day. 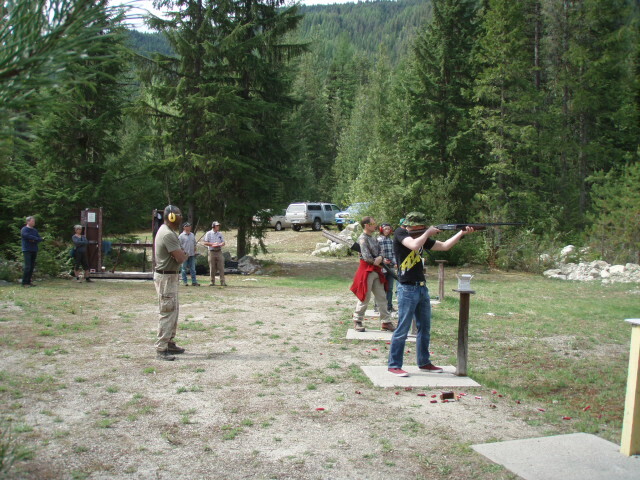 On 27 Aug we had a collection of enthusiasts arrive for the umpteenth .303 Heritage Match at the Barrett Creek Range. The day was excellent for shooting: warm & sunny, with very little breeze. But shooters at the prone or on the bench still had shade to keep them cool, and more importantly, to keep sun glare off their iron sights! Of special note this year was the very appreciated contribution from the Ymir Volunteer Fire Department through Fire Chief Steven Wood. The Nelson District Rod & Gun were understandably very concerned about any fire hazard due to extremely long dry weather. The executive contacted Fire Chief Wood who volunteered to both inspect the Range for fire and also provided a full water bladder for immediate use if any fire should start. A bunch of buckets were provided by the club members so an old fashioned (and still effective) bucket brigade could deal with any fires whilst the Ymir Volunteer Fire Department was en route. NO fire occurred other than in the very hot chambers of rifles, and the excellent grill cooking provided by Glen McKen. Neither required fire-fighter attention! I can say, that as the day warmed up, that bladder full of Ymir Water got to looking more & more like a cool swimming hole than a fire-fighting bladder! The volunteers did a splendid job with planning, preparation, and operating the Match, although many were first-timers at a lot of the stuff! The cheerful co-operation of all the participants certainly made it all easier. The food provided was first-rate, and timely. One last note was that with hundreds of rounds fired by relays that continuously changed places, I noted ZERO firearm safety issues. 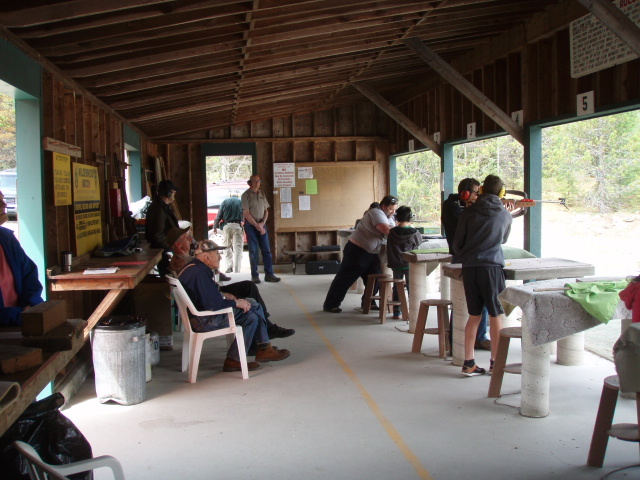 Kudos to participants and particularly to Range Safety Officer Marvin Paisner for that! August 27, 2017 was a beautiful day for our annual Heritage Match at the Barrett Creek range. 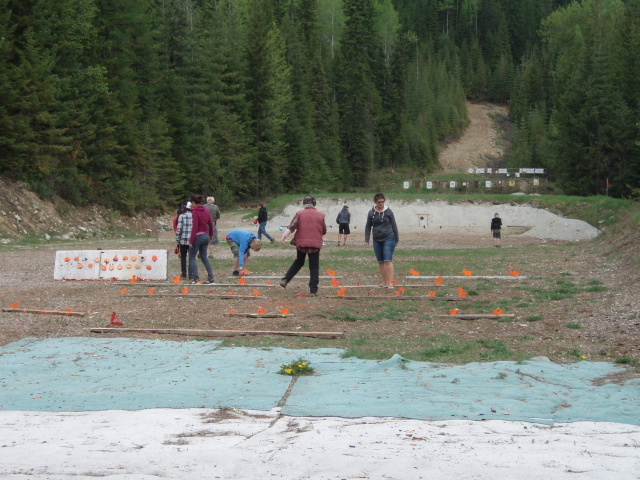 Seventeen shooters competed with ten of them winning medallions for their efforts. There were also a number of spectators and workers with all enjoying lunch; chef Glen McKen as usual did an outstanding job at the grill, while Dan Danforth and Marvin Paisner ran the competition smoothly as always. Chief Steven Wood of the Ymir Fire Department provided a water supply for possible fire suppression. Thank you to the helpers, not all named above, who made the day a happy one. Some worked Sunday August 20 to prepare the range, and others worked during the shoot. Good job folks! No bianary (exploding) targets ( this is a Provincial order) and No Smoking. Please use extreme caution and clean up as you go. Saturday April 22, 2017 to be the spring clean up (sign installation) day for the outdoor range. We should be in good shape snow wise we hope. The range will have to be closed to the members for that day. Suggested hours of clean up would be 9 a.m. to 3p.m, with a BBQ lunch at noon. Sunday, May 22nd, 9 AM – 4 PM. Cost – $ 10.00 per participant – includes lunch! Maximum $40. per family. Everyone welcome! Dust off the .22 and come on out to the Nelson District Rod and Gun Club range. Porto Rico Rd., Hwy 6, near Ymir. Food and targets are provided and range is reserved for exclusive use of participants . A minimum of 100 rounds is suggested per shooter. Ammo will be available on site for those needing it. 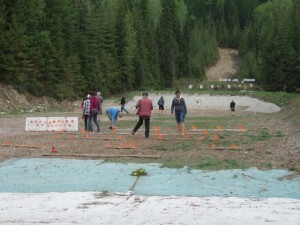 Any person without a firearms license, or are new to shooting must be accompanied by a qualified person during the shooting events. Ear and eye protection are required. Foam ear plugs are usually adequate for the noise level. Reactive targets, metal silhouettes and plinking opportunities galore will make for a lot of fun. Rules are flexible except for safety. Sorry, .22 magnums and .17 HMR are too powerful for the targets, so .22 Long Rifle is maximum power. Trap shooting will also be available that day. Bring a friend, kids, grand kids, neighbors, even your spouse :) See what you can do with your .22! Ranges from 20 to 100 yards. Optics or iron sights are all OK. Published by Bob Vliet, in Uncategorized.